This Pokemon Go Strength guide will explain how to calculate the overall strength of your Pokémon in Pokémon GO. A Pokémon’s power is determined by a series of factors that are not directly available to the player. We’ll show you where to calculate the stats of your captured Pokémon to determine which Pokémon you should power up or evolve. In general, the CP number of a Pokémon determines its strength in Pokémon Go. However, each Pokémon has its own hidden individual stats that determine its overall strength and fighting capabilities. Each species of Pokémon will have specific base stats that stay the same across the species, but each individual Pokémon will have varying Attack, Defense, and Stamina stats as well. The combination of these stats determines the Individual Values (IV’s) of a Pokémon, and are each rated on a scale of 0-15. The closer the three stats are to 15, the better that Pokémon will be. The ideal Pokémon would have a 15/15 Stamina rating, a 15/15 Attack rating, and a 15/15 Defense rating. A Pokémon with a high CP may technically be a weaker fighter than a Pokémon of the same species with a lower CP. Since Pokémon IVs are hidden stats, you will have to use the in-game Appraise feature to learn how good they are. When more and more people started using third party tools to calculate Pokémon IVs, Niantic decided it would be better to put this in-game instead. 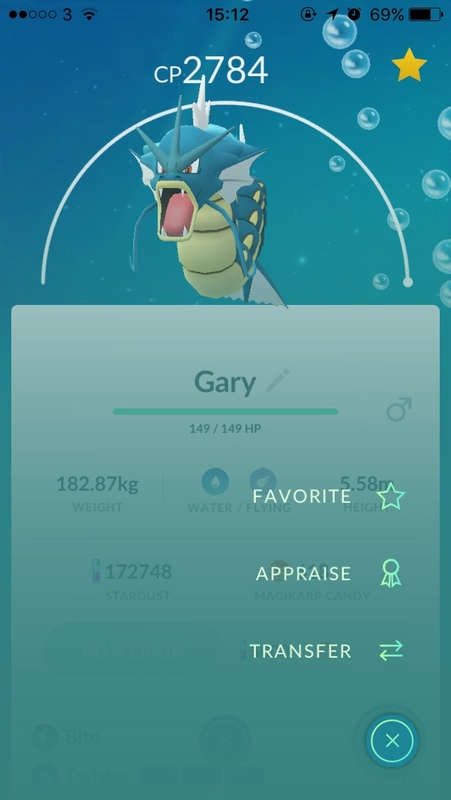 While the version found in Pokémon GO isn’t quite as comprehensive as some of the calculators you can find online, it does a good job of quickly and easily showing you if you have a Pokémon with good stats or not. While the answer you’ll receive does not tell you specifically what the IVs are, it does give you a general idea of how your Pokémon fares. If you’re going for a strong team for use in gyms, you won’t want to settle for anything besides the top response, which indicates an overall IV of 82% of its maximum or higher. So, as an example, if your leader mentions that Attack is the best stat on your Pokémon, and the phrase mentioned afterwards matches the 15 IV line for your team, your Pokémon will have the highest Attack stat it can possibly have! However, because only the Attack stat was mentioned, it means the Defense and Stamina stats are lower than 15. Unfortunately, we won’t be able to determine just how much lower they are, but you should be able to get a general idea from the summary at the beginning of the appraisal. So, if you get a Pokémon with perfect IVs, you’ll see your leader mention all three stats, followed by the 15 IV phrase that corresponds to your team. Happy hunting! If you are happy with the stats of your particular Pokémon, you may want to invest some Stardust and Candy towards power ups or evolutions to improve its stats even further. Check out our guide on how to get more Candy and Stardust in Pokémon Go to stock up your supply. We've also got a guide to evolving Eevee in Pokemon Go.